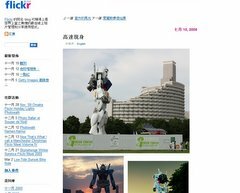 Welcome to Shibuya246.com, bringing you the latest news on products and trends from Japan. As well I am interested in traveling around Jappan so you should find plenty of chance to see some of the countryside. Temples are a feature on these trips and normally make the visit more memorable. I will try to include some of the local delicacies in photos along the way. I have worked and lived in Japan for over 20 years. I started out with a publishing company where I established and managed their office in Japan. I also was editor for a publication at that time. Later, I ran my own consultancy business before branching out into web businesses about 10 years ago. My name is Alan. I was originally born in England and spent my high school years in Australia. I have been living and working in Japan for over 20 years, mainly in the Shibuya area. I chose the name Shibuya246.com because for one I have lived and worked in Shibuya for over 20 years and feel very much at home in Shibuya. Secondly I chose the 246 number because passing through Shibuya stretching up through Omotesando is Route 246, one of the main roads in Tokyo. Most people have heard of Route 246 and associate it with Shibuya. I am grateful for all of these sites and the many other blogs / news sites that have picked up articles written here on shibuya246 and helped to share with them with others. Recently, through the use of social networking sites like Twitter, Friendfeed, Reddit (Japan), JapanSoc and Facebook sharing links to interesting sites has become much easier and quicker. It is great to see the number of people who take the time to click on a link and view the content. Thank you all. Shibuya Streets – A set of posts with pictures of the action from street level in Shibuya. Tokyo Photo Walk – A chance to walk around with me and see some of the photos in the local areas of Tokyo. A lot of the blog posts I write have photos which I have taken in Japan. I started out the blog using a Canon G10 Powershot camera and changed up to a Nikon D700 recently. I have tried out a few lenses and seem to be turning into a lens collector at the moment. I also use an iPhone for a number of quick snap shots. You will probably see a mixture of different types of photos on the site ranging from the iPhone point, shoot and hope up to the D700. Sometimes the iPhone can really surprise me with a great shot, but normally the Nikon will win out. You are welcome to reblog and use any of the photos on the Shibuya246 site or from my flickr account. All I ask is that you place a link on or near the photo so that readers can find a way back the original. If you want to remove the “© shibuya246.com” notice on the photos, please ask me first. I am happy for photos to be reproduced in print media. If you contact me by mail I can provide higher resolution images. Most images I take are over 4,000 pixels. Images on the site are normally shown at 960px or less. A number of images can also be licensed from Getty Images. Tokyo2016Today.com site to help promote Tokyo’s Bid for the 2016 Olympic and Paralympic Games. Take a look 5-10 years into the future and work out what things are going to be like. Then plan to get there now. Many people viewed my pictures of Gundam and the wedding. Thank you. I hope this gives you a taste and quick overview of shibuya246.com. I will be continuing to take pictures of everyday life in Japan, particularly in the Shibuya, Tokyo area. When I travel I will definitely take cameras with me as well. The Conbini Monday series has proven very popular and I am exploring some ideas on how to build on this further.